Hi there! Steelrattus again, on day 8 of his 10 day guest stint. I’m not familiar with Brendan Perry, but I am familiar with Dead Can Dance, a band he formed with Lisa Gerrard in 1981, when he was 22. Perry has followed what seems to be the roots of most musicians, that is starting in one genre, and moving to a completely different one. In his case he formed a punk rock band in 1979, before forming the markedly different Dead Can Dance. Dead Can Dance split up in 1998, which is a year before his solo effort Eye of the Hunter was released, although they did reform twice subsequently. After listening to Eye of the Hunter I would have filed it under alternative 90s Americana. I got the date vaguely right (1999), but Perry’s a Brit – not to say of course he can’t write songs in the genre, although Wikipedia describes it as folk rock, dream pop (?!). 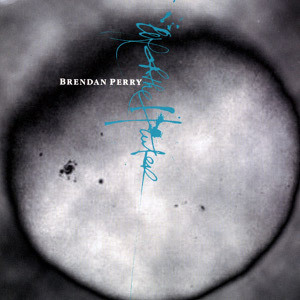 The album title comes from a lyric in the second track, Voyage of Bran. The fourth track, Sloth, has featured on a Dead Can Dance compilation album, curiously. The fifth track, I Must Have Been Blind, is a cover of the 1970 Tim Buckley song. I liked the album in a 3/5 way. Not exactly my favourite genre, and it got rather repetitive for me. As always, YMMV.